✔︎ DROP MCT CAPSULES IN YOUR COFFEE TO MAKE THEM BULLETPROOF - Essential For Keto and Paleo Dieters - Our pharmaceutical grade, non GMO brain octane is the ultimate bullet proof oil in pill form that is formulated for gut health to prevent hunger and kick-start your ketone levels. Quality, unrefined powerful MCT oil that is easily pairs well with ghee butter, smoothie mix, or during cooking. Great for pre exercise or post workout. 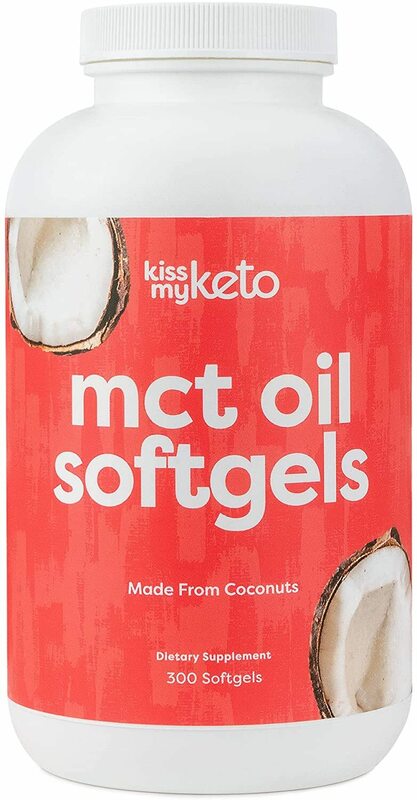 ✔︎ QUICKLY BOOST ENERGY, NATURALLY IMPROVE METAL FOCUS, MOOD & ENDURANCE & ENHANCE DIGESTION - MCT is high-grade, fast fuel for your brain and muscles without the caffeine jitters or the crash. Experience clean digestion without constipation and enhanced nutrient absorption with caprylic oil. The pure MCT coconut oil in tablet form will increase clarity and cognitive function, alleviate headaches, boost your immune system and maximize your energy levels throughout the day.